Welcome to the Killarney Centre Figure Skating Club, a Skate Canada Sanctioned Club (1000045), which offers programs for the beginners to the competitive skaters. We offer a coaching staff that is dedicated to helping you succeed in your skating goals, while making the experience fun and enjoyable. The Killarney Centre Figure Skating Club is a registered non-profit society (B.C. Societies Act. Inc. 1964) and is run on a volunteer basis. 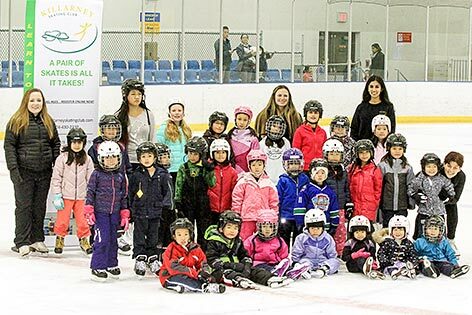 Killarney Figure Skating Club is proud to offer a extensive list of programs that will provide skaters at every level an opportunity to develop and expand their skating skills. For a closer look at what we have to offer, click on programs.